Day of the Dead Poncho - Unisex poncho with traditional Mexican skull motif print. This Day of the Dead Poncho is a great, easy to wear design. 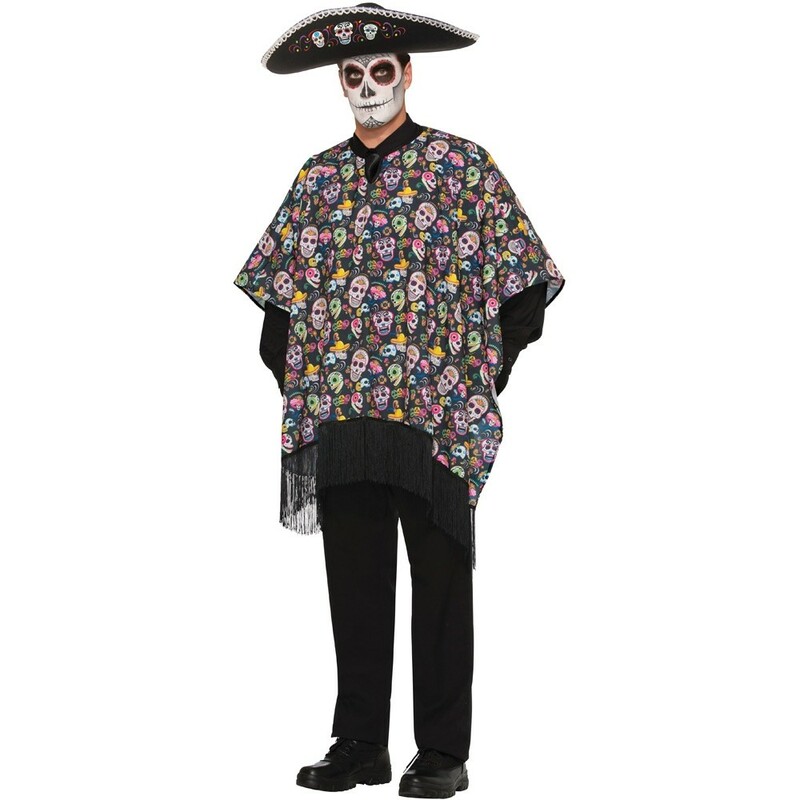 This Day of the Dead Poncho is black with the traditional Mexican skull motif printed over it. Perfect for Halloween or Day of the Dead theme this fabulous Day of the Dead Poncho will be sure to make you stand out from the crowd. 1 x Day of the Dead Poncho.